Advantages: Excellent photographs with English subtitles. Kari Stenman Publishing has been re-releasing a number of long out of print books in its Finnish Air Force History series. The most recent release is Number 5. This one is about the Hawk 75 and the one, lone P-40 M during the Winter War, Continuation War and post-war period. Finland bought a total of 44 Hawk 75s from Germany. Except for the last 15, all were war booty, which were refurbished by the Germans and shipped in crates to Finland, where they were reassembled. The last 15 were war booty aircraft, but were flown to Finland and were refurbished there. These 44 Hawk 75s were a mixture of the A-1, -2, -3 and -4 from France and the A-6 from Norway. 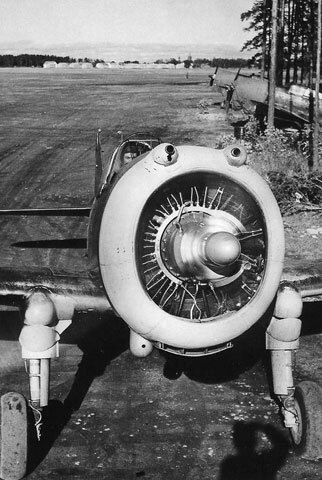 The A-1, -2 and -3 all had the broad chord cowl with the bulbous cowl gun covers. The A-1 had one gun per wing, the others had two. The A-4 and –6 had the narrow chord cowl without the bulbous gun covers. The A-4 had two guns per wing, the A-6 had one gun per wing. Even though the text is in Finnish, this book’s primary value is in the 170 excellent quality photographs of all five types of Hawks 75s used. The photos are captioned in both Finnish and well written English. Clearly, the pictures are the heart soul of this book. There is one excellent picture of the wing bomb rack, which alone gives me an excellent understanding of how it worked. There is also a short section on the one captured P-40M. There are pictures of this aircraft in both its VVS and Finnish markings. This aircraft has always been portrayed as being in a solid green upper surface. But one clear photograph gives the impression that the upper surface may have been more mottled. Either that, or the light through the trees strongly affected the photograph. A brief section in English gives the number of each type of Hawk 75 bought by the Finns and the serials assigned to them. 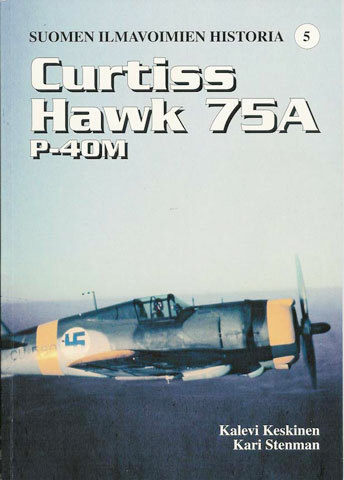 It also sets out the service history of each of the aircraft and the victories of the pilots who flew the Hawk 75. Luutn. K. Tervo, of HleLv 32, was the highest scoring Hawk 75 pilot with 15 3/4 victories. Finally there are nine profiles: five of the Hawk 75 in all green, three in green and black and one profile of the P-40M. You will definitely like this book if you (1) like the Hawk 75, (2) you like the Finnish A F and (3) you read Finnish. Actually, you will like this book even if you don’t read Finnish, just as long as you fall within either (1) or (2). Falling in both (1) and (2), I, with acknowledged prejudice, highly recommend this volume.